Join the Resistance in Doncaster. Come to the Womens Centre, Cleveland Street, 7.30pm to plan what we do next to oppose the cuts. It would be good for any anarchists in the vicinity to drop by. We need to put aside our differences and show a united front if we are going to fight the cuts in Doncaster. 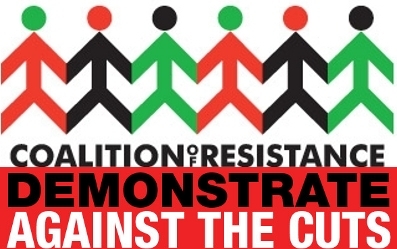 With the National Walk Out on the 24th and the stand against Tax-Evading Companies on December 6th, the next few weeks will mark a turning point for the anti-cuts campaign if we can organise effectively.